Sometimes weird card making ideas come to me in the middle of the night - like 3 am (stupid brain). Back story - one of my super awesome co-workers and her partner got engaged at Pride Toronto a few weeks ago! I knew I wanted to make them an engagement card. 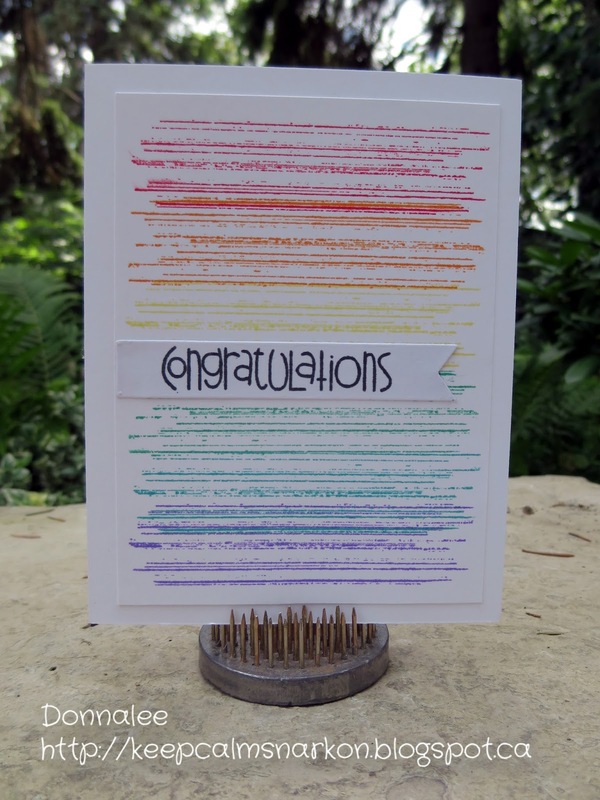 While I should have been sleeping, my poor wee brain was formulating making a congratulations card utilizing the colours of the Pride flag!! YAY, sometimes my wee brain has a good idea! In retrospect I wish I had used a different green or blue, the two seem to just meld into each other without as much contrast as I was hoping for. I am super impressed that you REMEMBERED your 3 am idea! I'm sure all my best ideas are lost between the 3 am thought and the later-morning wake-up. :P P.S. Your idea was awesome!